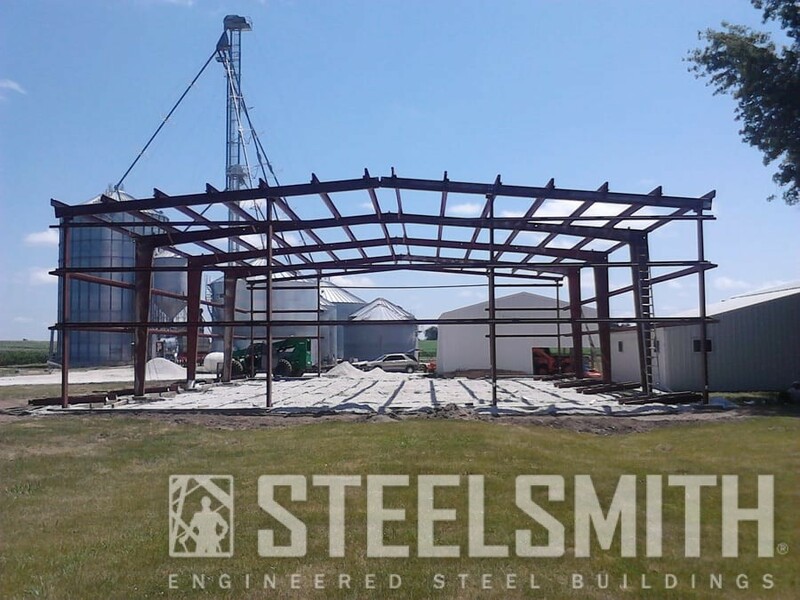 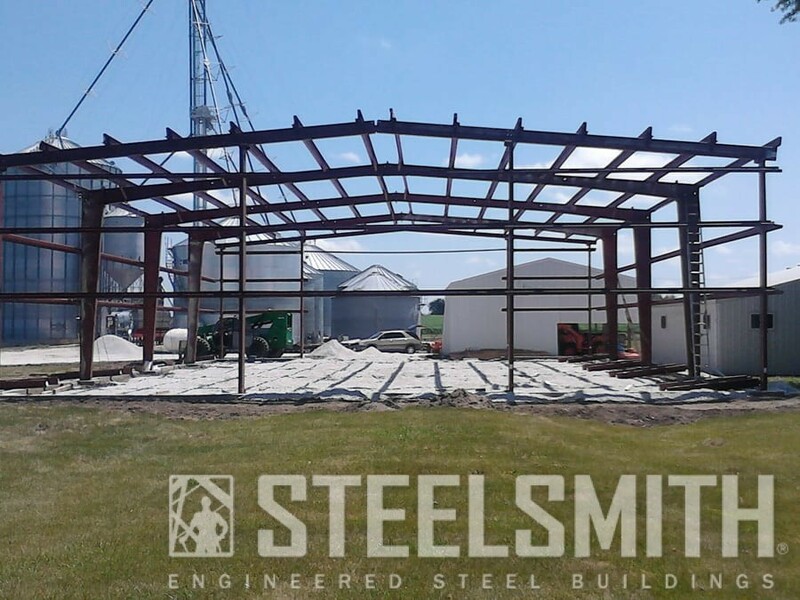 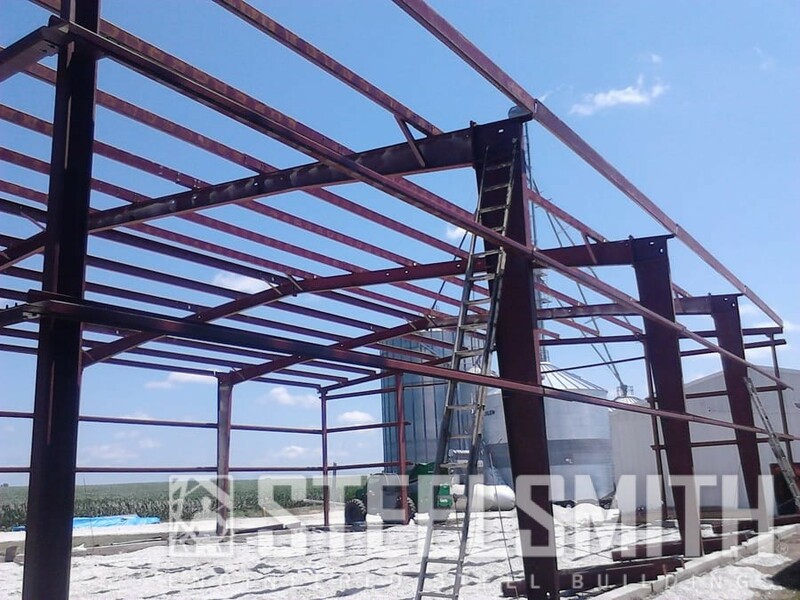 Steelsmith designed, erected, and furnished this steel building for Hopkins Farm. 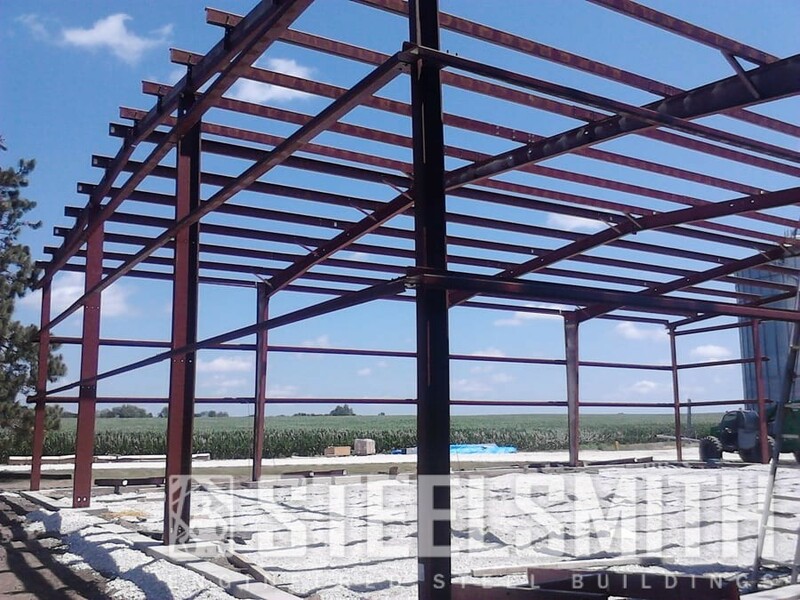 The farm is located in Gilson, Illinois. 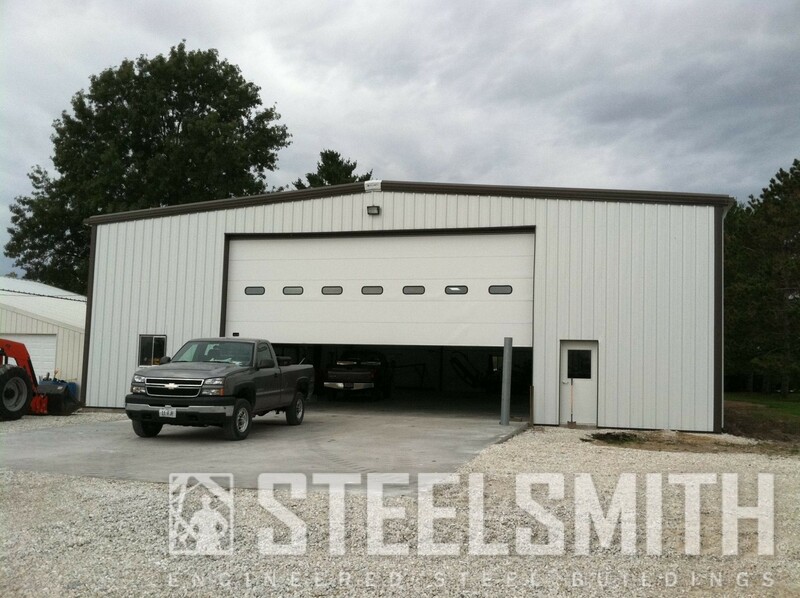 They use the building primarily for agricultural storage. 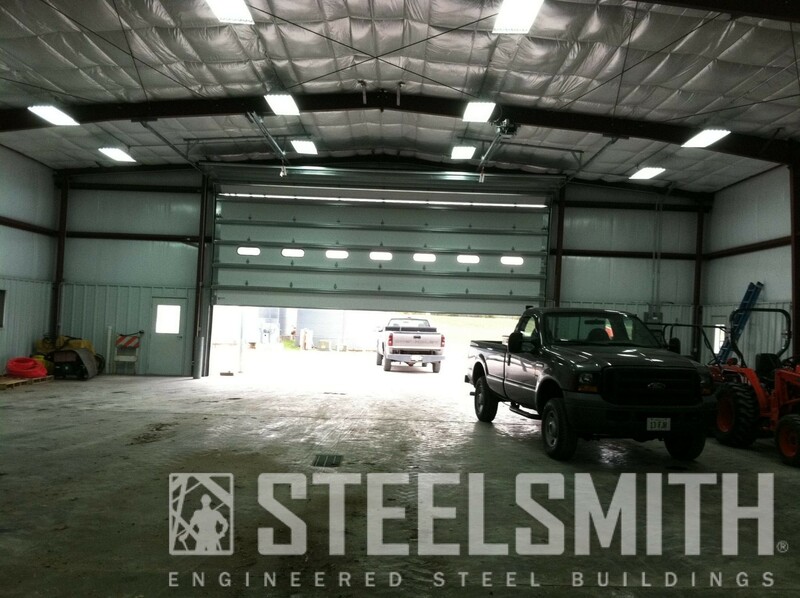 Some unique features of this building are the radiant heat in the floor and the 30 x 18 foot sectional overhead door. 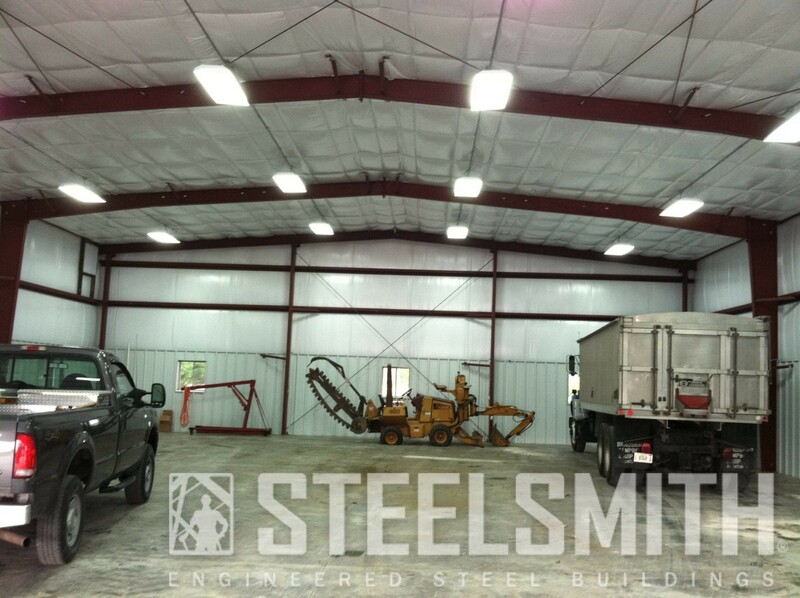 The interior of this building also has partial liner panels, which protect the insulation and outside walls from damage that can happen internally when moving large equipment.